She stands in a space the size of a cockpit. Facing the control panel, she cranks knobs, adjusts levers, and checks gauges to make sure all systems are go. 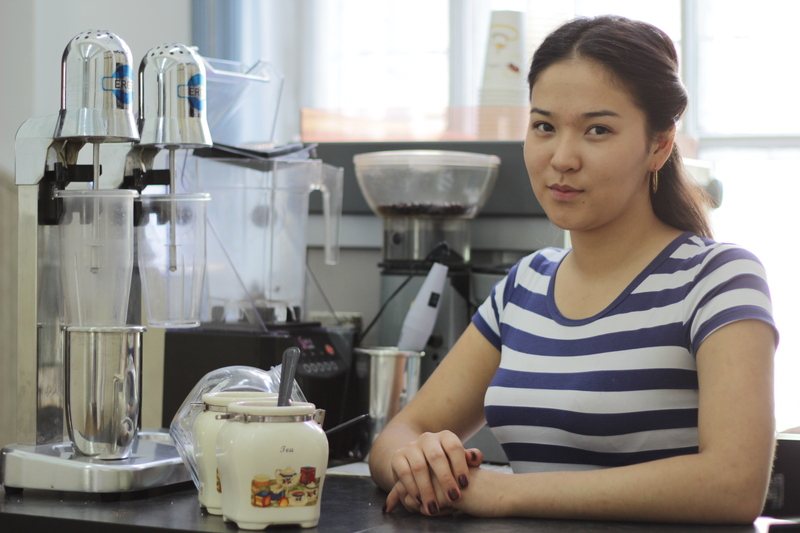 It’s not an airplane she maneuvers, but a machine that offers a different sort of lift off: 21-year-old Aiperi Aalieva runs the tiny Coffee Mania coffee station on AUCA’s first floor. 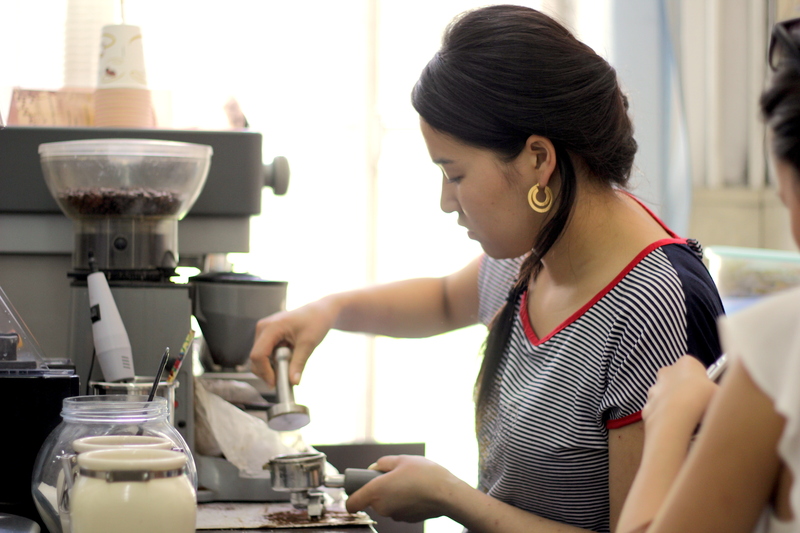 For the past two and half years, Aalieva has spent her days caffeinating a steady stream of students, staff and faculty. “I understand now the language of coffee,” she says. When she’s not at Coffee Mania, she attends the Academy of Tourism. When she is at Coffee Mania, she sees her work as part psychologist, part performance artist and part barista. “When I see someone come, I see in their face what is happening. I hear them talk and see their behavior and in my mind I guess what kind of coffee they will have. When some students come and I see they are stressed or upset, when I give them their coffee I tell them I added something extra. Something like a smile or some kindness or some happiness,” she says. I love this! Esp the addition if a little secret special something.